Or at least everyone says so. There were no preparations at all. We are publishing an unusual text. In October 2010 we had approached Olavo de Carvalho with a series of questions, which was intended to form a long interview. Mr de Carvalho responded on the 8th November. 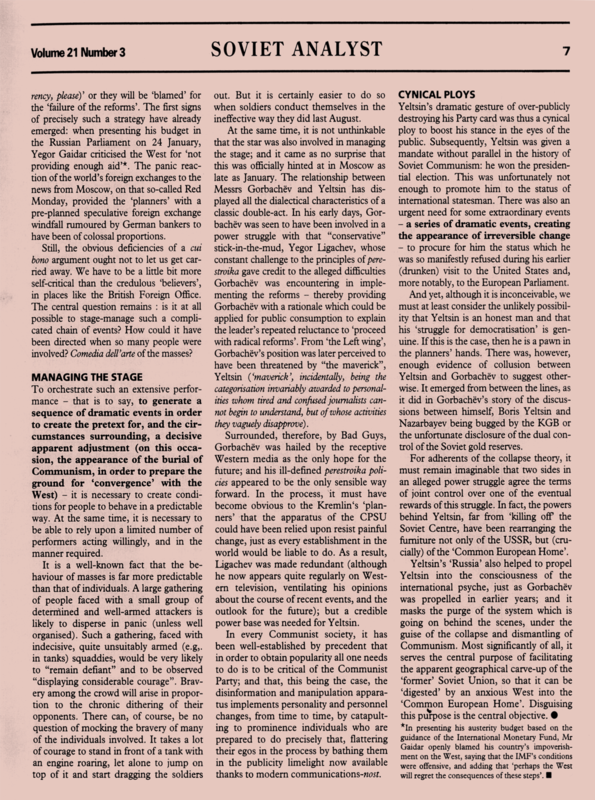 As agreed earlier, we added some supplementary questions asking him to elaborate on the subject of the São Paulo Forum, as it is little known outside Latin America. By the 16th December, still not having heard from Mr de Carvalho, we proposed that “should he find these additional questions uninspiring, it would be absolutely fine by us and we would publish the interview in the previous format”. 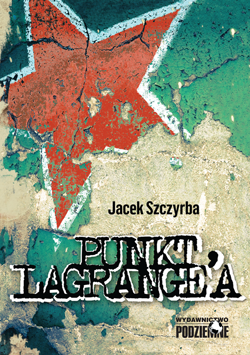 We cannot treat seriously everything written by Mackiewicz, the anti-Communist. 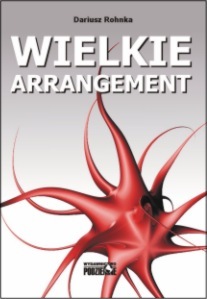 Some of his essays are obsessive and bordering on paranoia, following a well known pattern of sniffing for agents everywhere, even in the Vatican. When embarking on a compilation of his political writings one would do well to remember that he paid with fantasies and even insanity for constancy of his views. Frontpage Interview’s guest today is Nina Karsov, the head of a London-based company, Kontra, which has been publishing Polish and Russian books since 1970, including the Collected Works (19 volumes in print, but more are planned) by Józef Mackiewicz, a great Polish novelist and political writer (1902-1985). 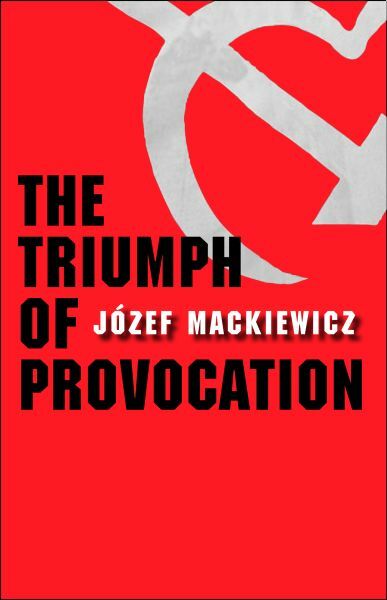 Mackiewicz’s analytical work, The Triumph of Provocation, written in 1962, and now published in English by the Yale University Press, examines the history and nature of Communism as it developed in the Soviet Union and in Poland. His unique interpretation of the differences and similarities between Communism and Nazism is highly relevant to debates about these two systems and to major contemporary issues which are of particular importance to the U.S. and Europe. On the 10th February 2010 died Charlie Wilson, a colourful member of the House of Representatives, one of the very few American politicians who actively supported the struggle against communist aggression, first in the Seventies in Nicaragua, and then almost throughout the next decade, in Afghanistan. 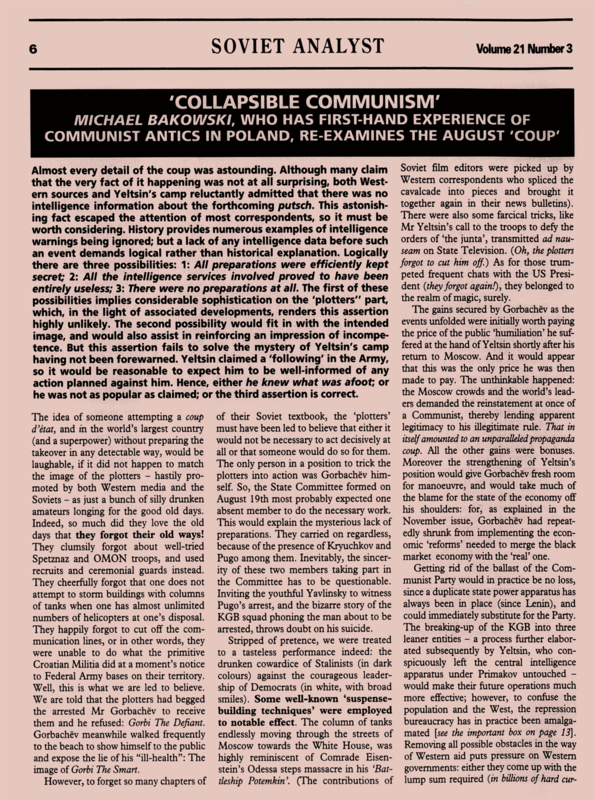 To honour this anticommunist, we are publishing again the article from March 2008 (in an extended version). This text was triggered by a film about Charlie Wilson. I am delighted with Michael Bąkowski’s piece, “The Great Provocation,” because it leads us to a discussion touching on the most significant events of the last 18 months. 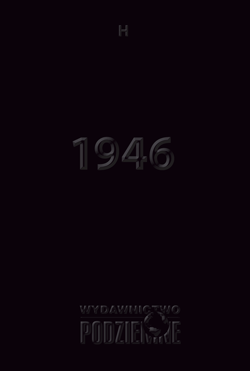 I will now make Bąkowski’s case for him, which is not so strange, because what he presented in “The Great Provocation” is what I’ve been presenting in my work for many years. 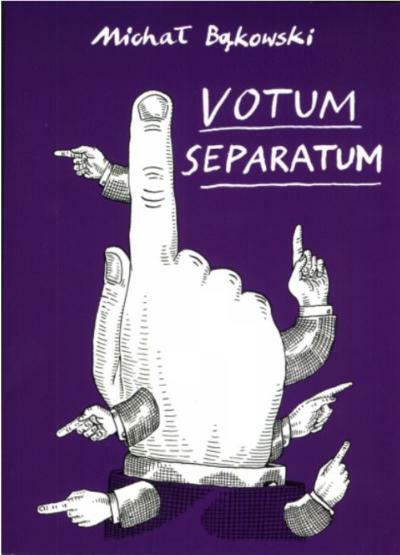 Jeff Nyquist kindly responded to my previous article with splendid divagations around the importance of common usage when confronted with soviet strategy. Poland as a front line state? I hesitated for some time before writing this. After all, our website has just benefited from what I can only describe as “Nyquist effect”. In one hour we had as many hits as in an average week, in a few days as many as in a month. Well, I guess we should be grateful. On the other hand, however, we are not gambling for popularity stakes; I would even hazard a guess that “popularity” would be somewhat unwelcome for views such as ours, as it could be taken for a sure sign of drifting away from the truth. DR: Let’s go back to your President. Was the recent decision of the Nobel Peace Prize committee a direct result of his UN speech where he declared his goal of nuclear disarmament? Or do you think we ought to see it in a wider context? Dariusz Rohnka: Jeff, you belong to a very small group of American writers trying to understand the events of 1989-1991. What in your opinion was the decisive factor in the universal acceptance of the official version of events? Why is it that other interpretations aroused so little interest? 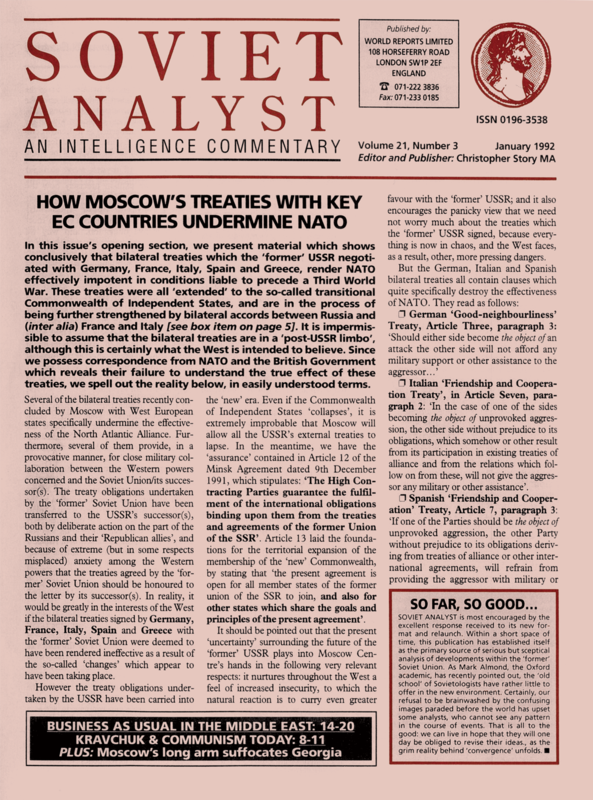 Jeff Nyquist: The decisive factor in the universal acceptance of the official version of the “fall of Communism” was the success of Soviet active measures in Western countries, along with the steady advance of socialist ideas within those countries.